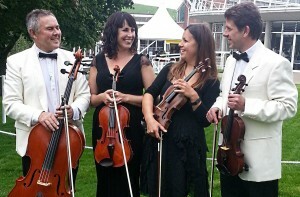 Wedding musicians in Portsmouth for hire, the perfect musical accompaniment to your civil partnership, ceremony, church service, drinks reception, wedding breakfast or evening reception. Kaleidoscope Music & Entertainment continue to provide clients with professional performers located around the south of England. Although specialising in Classical & Jazz, we also provide an excellent selection of Party Bands, Vocal Ensembles and Specialty Entertainers. As preferred suppliers to many historic venues, churches, museums, hotels and famous landmarks in Portsmouth, our specialist knowledge, skills and expertise enables us to advise on the style of music to compliment your chosen venue. We regularly perform at the following local venues: HMS Victory, Mary Rose Museum, Royal Beach Hotel, HMS Nelson Wardroom, Royal Marines Museum, Spinnaker Tower, Holiday Inn, Port Solent, Royal Naval Yacht Club, Eastney Marina, Inn Lodge, Queens Hotel, Marriott Hotel, South Parade Pier, D Day Museum, Rose Garden, City Museum, Gunwharf Quays and HMS Warrior. Find out more by visiting our Wedding Musicians section of the website.